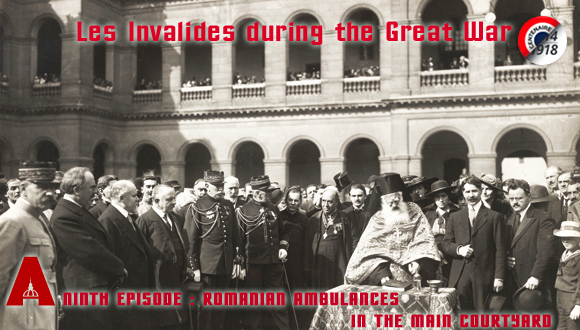 On 15 September 1916, in front of a large number of people, among whom was the President of the French Republic, Raymond Poincaré, a pope (an Orthodox catholic priest) ceremoniously blesses the ambulances offered by a Franco-Romanian committee. On the right edge of the photo, a small boy dressed in a sailor suit and wearing a hat bearing the name Georges is looking at the photographer. Romania remained neutral in 1914, despite its designs on the large number of Hungarian Romanians in the province of Transylvania. 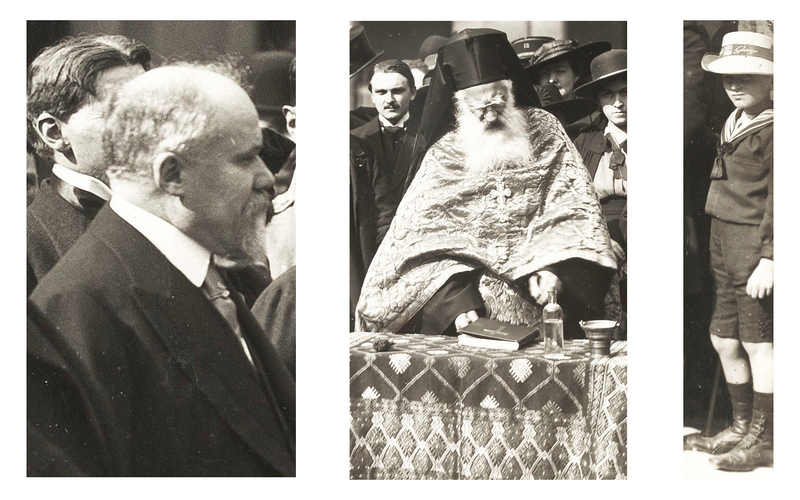 Encouraged by the Russian successes against the Austro-Hungarian Empire in June-July 1916 and the Allies’ promises, Romania declared war on the Austro-Hungarian Empire 27 August 1916 and started by invading Hungary. But Germany and Bulgaria’s support for the Austro-Hungarian Empire, while the Russian offensive bogged down, reversed the situation at the end of September 1916. At the time of the ceremony at the Invalides, the situation had become critical for the Romanian army. 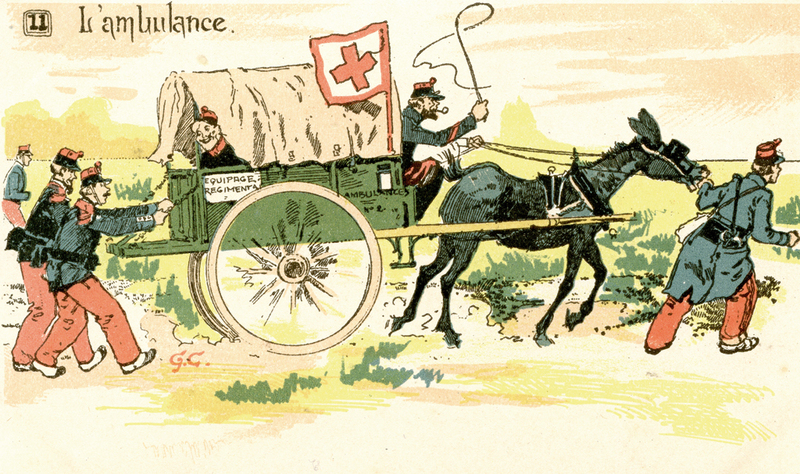 During the First World War, an ambulance was an advanced Aid post close to the front, responsible for taking in wounded soldiers and giving them first aid. They were then evacuated to a military field hospital. By extension, the harnessed vehicles which transported the wounded from the dressing station to the rear were also called ambulances. 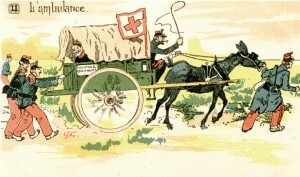 In 1914, basically, ambulances were horse-drawn, including those in the main courtyard of the Invalides. They were gradually replaced by motor vehicles.